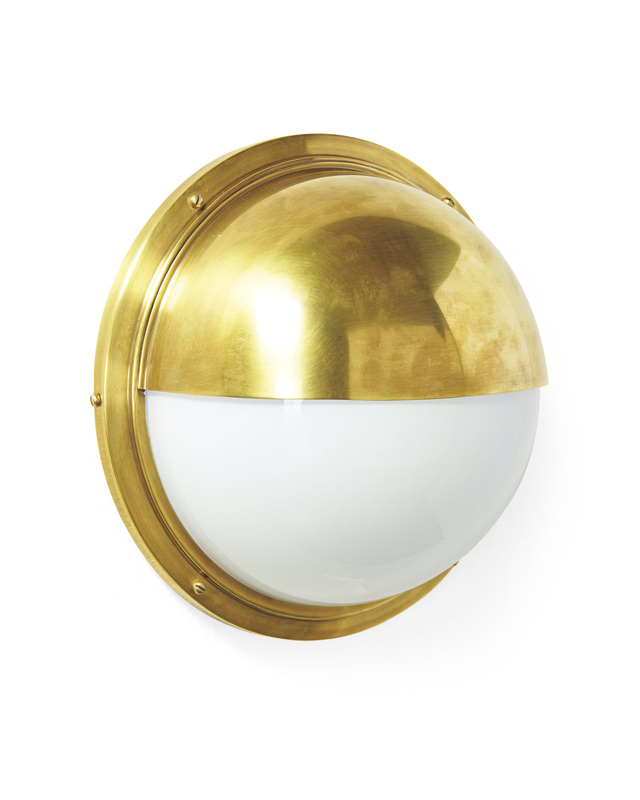 Portside SconcePortside Sconce, alt="Portside Sconce, "
Print Inspired by the portholes of old steamliners, our half-moon design is a modern classic. It features a beautiful finish against milky white glass, and can be hung with the shade facing up or down. Brass with hand-rubbed antique brass or polished nickel finish. Can be hung with the shade facing up or down. Suitable for bathroom use. Wipe with a soft, dry cloth. Avoid the use of cleaners and abrasives, as these will damage the finish. Shade extends 5" from wall.